The World Government Summit kicked off yesterday in Dubai. The three-day forum offers a platform to show the world how sharing knowledge and ideas for the greater good can make the world a better place. The seventh session of the World Government Summit kicked off on Sunday in Dubai with the participation of more than 4,000 people from 140 countries, including heads of state, ministers and officials who will gather to redefine the future of governments and unite efforts to shape the future of the world. Sustainability and environmental concerns were a key focus, along with how governments are adapting to technology and the rise of artificial intelligence. 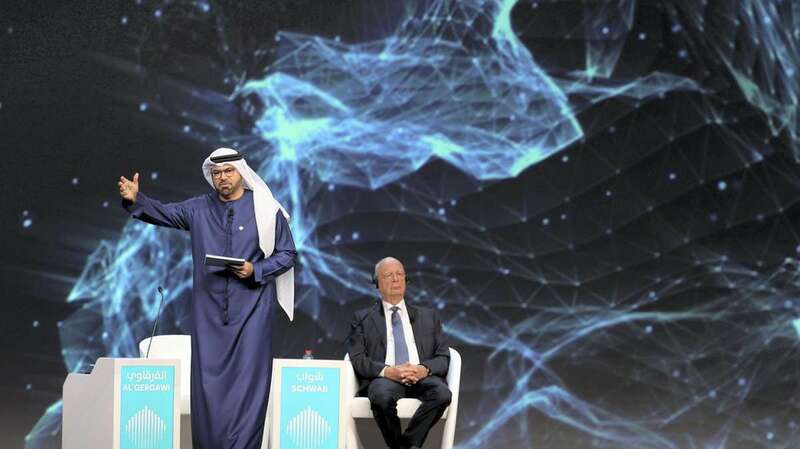 Data is key to the future, the UAE’s Minister for Cabinet Affairs and the Future said at the opening of the World Government Summit. Minister Gergawi also stressed the power the private sector holds over people’s personal data, encouraging governments to innovate. Mr Gergawi, Minister of Cabinet Affairs and the Future and Chairman of the WGS also said that the difference between “humans and AI is imagination”. He also stated that governments must also respond to new areas of innovation. Legislation is lagging in key areas of technological change like driverless cars and 3D printing. Klaus Schwab, the founder of the World Economic Forum, said we must rebuild trust in our global system. Mr Schwab also pushed for a multi-stakeholder society – not just governments but businesses, NGOs and intergovernmental organisations. He also said we have to regain control of the global system, moving from managing crises to constructing effective government. The Summit will last three days and closes this week on Tuesday 12 February.